Centennial Commons Homeowners Association, Inc. is a non-profit corporation, governed by a Declaration of Covenants, Conditions and Restrictions, as well as a set of bylaws. In 2016, CCHOA adopted the Georgia Property Owner’s Act into its Covenants. Located off of Woodstock Road in Acworth, GA, the subdivision offers a peaceful, scenic environment and a homeowners association dedicated to maintaining quality living for all residents. Located off I-75 Exit 277. From Atlanta, take a left off the exit. Turn left onto Baker Road. Continue until you reach a traffic light at Woodstock Road. Turn left and drive about 2 miles. The entrance to Centennial Commons is on your right. We are located near the intersection of Woodstock Rd. and Hwy. 92. Centennial Commons offers a large swimming pool area that is open from May until September. During the weekends and on some weekdays, fully-trained lifeguards from Splash Pool Management Company are overlooking our residents’ safety. The pool area is equipped with restrooms and private shower areas. 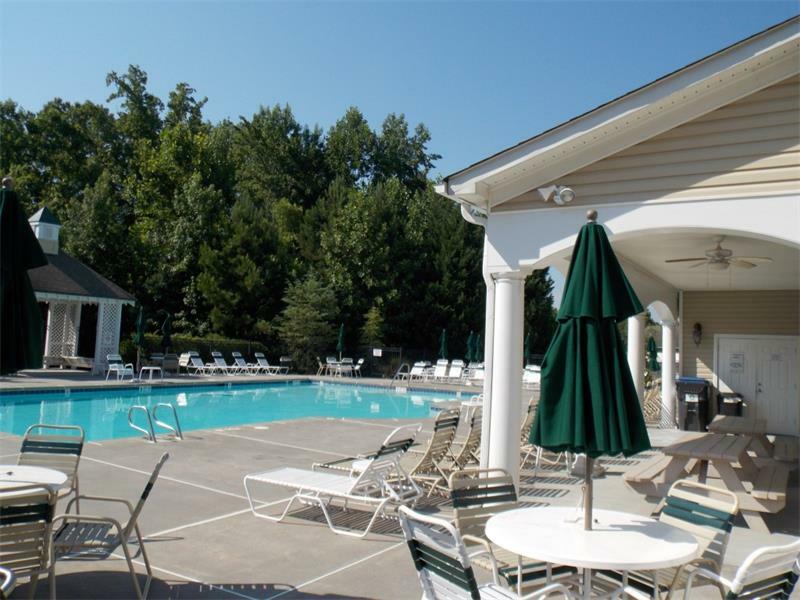 The swimming pool area is located behind the security locked gate that opens to the clubhouse, fitness center and restroom area. It is monitored 24/7 by a top-grade camera and security system. There is also a landline emergency phone located on the left as you enter the pool for emergency use. Enjoy large lounging spaces with plentiful lounging chairs as well as grills and social/dining tables. During the summer months, Centennial Commons hosts regular pool parties, so put on your suit and join the fun! The recently renovated and upgraded fitness center is open 24/7 and is only available to members who have a security card scanner for entrance. 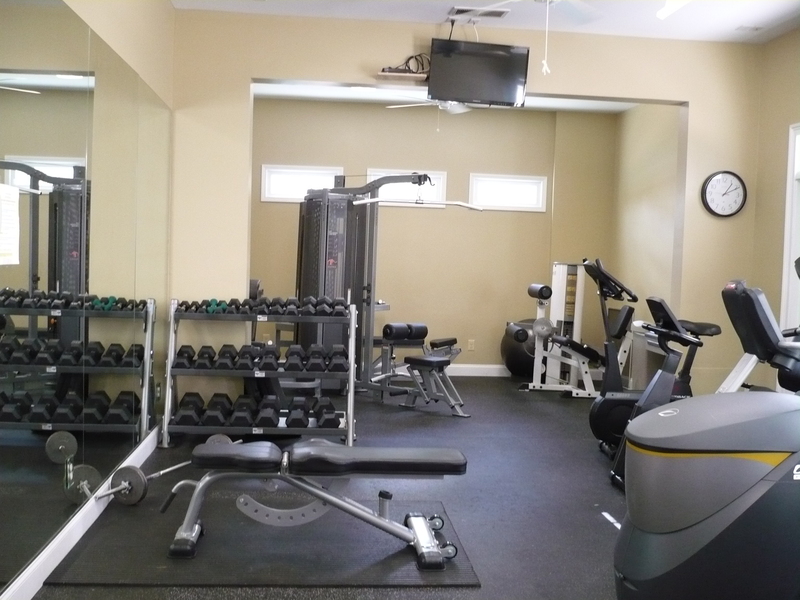 It is located inside the Clubhouse and has easy access to the restroom and shower areas. 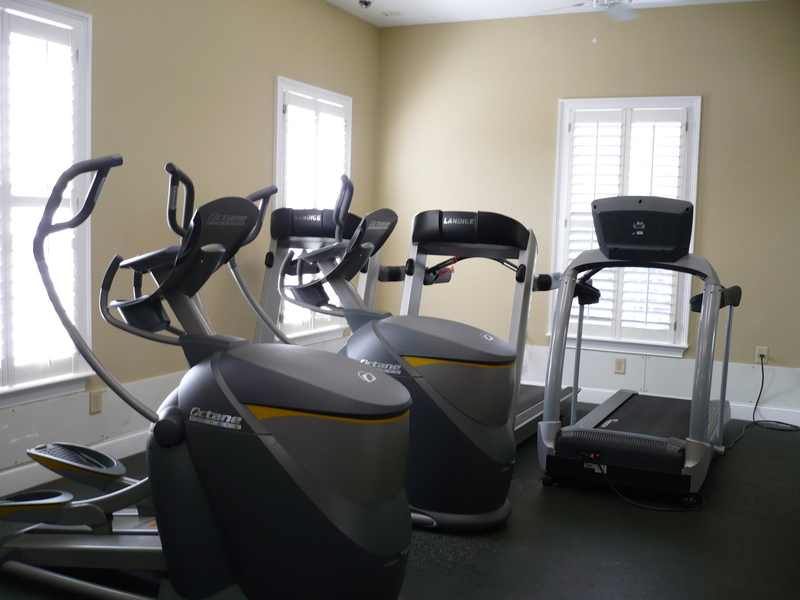 Featured in the renovated center is a flat-screened, wall-mounted television, three treadmills, exercise bicycles, ellipticals, many free weights with a weight bench, as well as a separate area with weight machines. Enjoy a nice workout and then a relaxing dip in the pool! Our community club house hosts community events and monthly meetings. 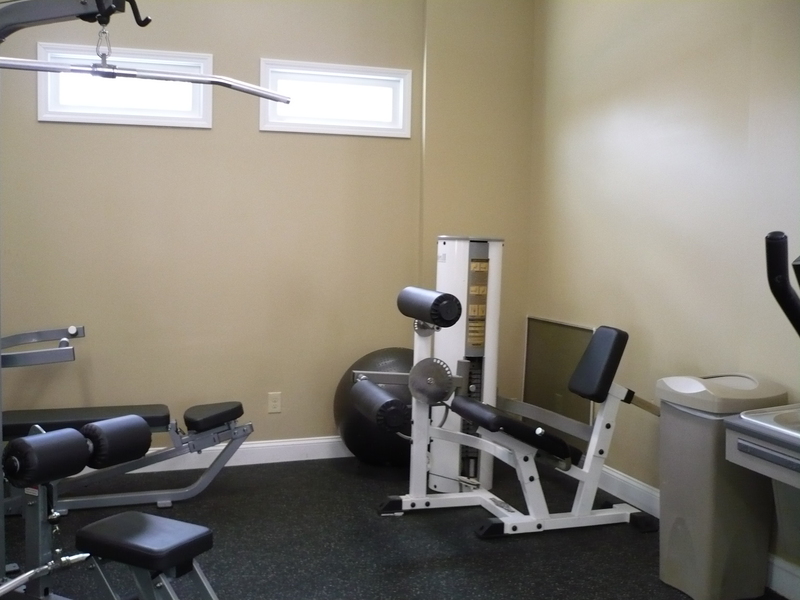 It is also available for rent by our residents and their guests. 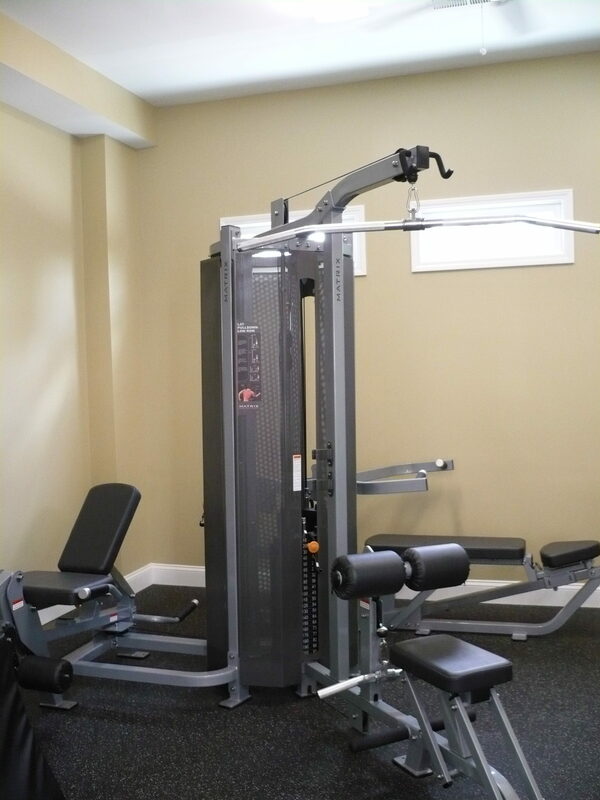 Learn more about clubhouse rentals here. The club house includes a full kitchen area, tables and chairs, a lounging room, fireplace, flat-screen, wall-mounted television, as well as a separate seating area with a sofa and love seat in front of a fireplace and holds up to 50 people. We always welcome suggestions for more social events! Centennial Commons residents have access to a large basketball court that is newly paved and renovated, fully surrounded by fencing, and securely locked. Only residents have access with their keycards. 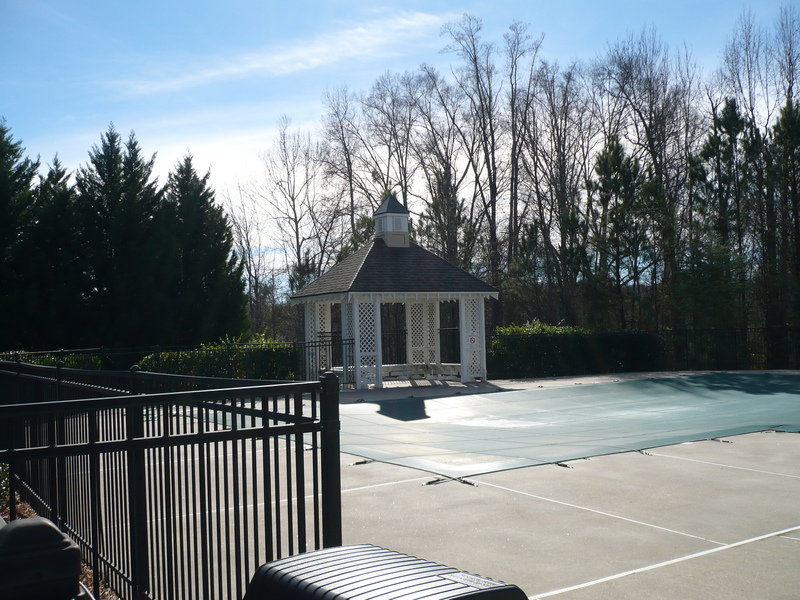 The basketball goal is located conveniently in front of the clubhouse by the tennis courts and the playground area. The tennis courts are used for both tennis and pickleball. 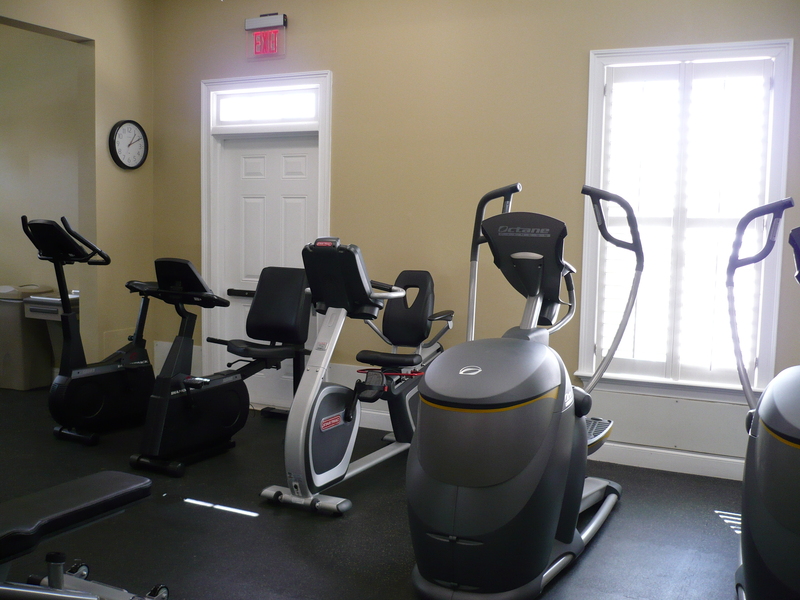 Our courts are newly renovated, well-maintained, well-lit, and large. They are conveniently located in front of the clubhouse. The tennis courts are surrounded by fencing and locked by our security locks. Only residents who have key cards have access to the tennis courts. If you haven’t joined the PickleBallers before, come and find out about one of the fastest growing games in America. If you are not familiar with the game we’ll teach you in a non-serious, jocular manner. We provide all the equipment, a paddle and whiffle balls, but you might want to bring a bottle of water. There are various practices during the week but the most common one is Thursday afternoon or evening. The game is played on a tennis court with racquet size paddles and whiffle balls. Only a portion of the tennis court is used. Blue lines are painted on the court to indicate the boundaries of the pickleball court. Many rules are similar to tennis as you serve and return the ball and the ball can be struck either on a bounce or on the fly. We play doubles so less of the court has to be protected which limits activity for us older folks! Score is kept between the players and the winner is the first team to seven (or eleven depending on the team’s willingness to play a longer match) as long as you win by two points. Competitive games are played each Saturday at the Centennial Commons Pickleball Courts at 9:00 AM. To be scheduled for those games you must practice with the group and give us your contact information so we can add you to the list of our participants. The times for practice and competitive games do change as the weather changes and the best way to find out what times are currently being played would be to reach out to us through email to the two people listed below or to the subdivision email site. Pickleball lines painted on the tennis courts (after they were resurfaced) in the Spring of 2015. Number of regular pickleball players has grown from 8 to 21. Tournament play began in September with the CC Pickleball League 2015 Fall Games which ran through the end of December. The “George” and “Judy” Awards (think of the Motion Picture Academy Award Named “Oscar”) were presented to the Male and Female players, respectively, along with the most wins during the 2015 Fall games. The CC Pickleball League 2016 split tourney play to 3 times a year, May thru August (summer games) September thru December (fall games) and January thru April (winter games). This allows for different winners to be honored during the year for various achievements. We encourage all homeowners to come out for some fun and fellowship with this fun game. If you want to practice with some of your family members or other non pickleball players as you are shy about your skill set you can check out some paddles and balls to play with. Again just contact one of the two people noted below. This is a Game for Everyone. We hope to see you at the tennis courts! For the little ones, Centennial Commons offers a play area, conveniently hidden around the back of the tennis courts near the clubhouse with new, kid-tested and approved, fun equipment. Benches are provided for the adults, and shade trees are all around providing comfortable shade. There is no view of the playground from any roadway, which makes for a safe and fun environment. Our landscaping team ensures that every home is maintained and beautiful by providing weekly mowing and edging of front and side yards, turf applications for front and side yards and fertilization of shrubs. Two distributions of long needle pine straw for all beds in the front and side yards per year. Also included in the landscaping maintenance is the periodic pruning of all side and front shrubbery during growing season, aeration of the front and side yards every other year, pruning of limbs of front yard trees, and weed control in front and side yard beds. See more about what is offered as part of our landscaping commitment here.